Commit to your turns. Pedal. Smooth and round. Remember, we're the boss of our skis — they're not the boss of us! The drills became my mantra as I skied follow-the-leader style behind Britta Nesbit, one of Deer Valley Resort's top-flight instructors in its popular Women's Ski Clinic. 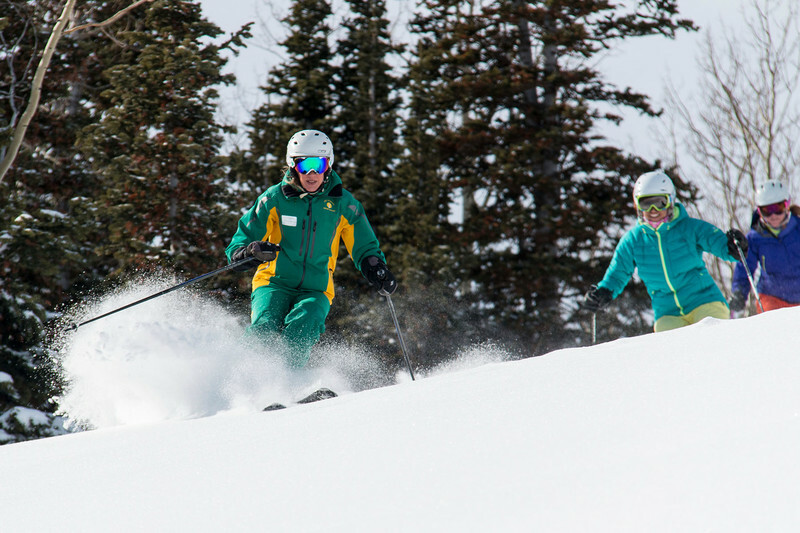 Nesbit has been teaching skiing at Deer Valley in Park City, Utah, for more than 20 years. Soon I was negotiating smoother turns with less hesitation and a lot more confidence. Conditions on the mountain can change at any time, she explained, "But if you have confidence in your turns, you can handle most anything." Since 1993, female instructors in the three-day Women's Ski Clinic — conducted twice each winter — have helped women improve their downhill techniques in a friendly and supportive environment. Whether you're keen on skiing the trees or the moguls, if your turns need fine tuning or if you just want to ski with similarly skilled sisters, you'll finish the long weekend a better skier than when you arrived. Participants in the clinics should be at least high-beginner or intermediate level. Groups of four to six ensure personal attention, and while classes are intense, it's all about having fun while learning. And fun I had working on my turns. "Lean forward," Nesbit called out. "Don't sit in the backseat of the car!" With knees slightly bent and my bellybutton hovering above the tips of my boots, I pedaled like riding a bicycle. Keeping both skis on the ground, I put pressure on the outer ski to start my turn around the "top of the sun." Then I put pressure on the opposite ski to round the sun again, aiming for a rhythmic traverse down the mountain. "How are your legs feeling?" Nesbit asked me before we dived down another run. Never gave them thought, I had realized. Usually on the first day of skiing, my thigh muscles burn. The pedaling technique was working, she commended. "You're staying centered, leaning forward and not putting undue pressure on your upper muscles." We hockey-stopped in front of a tiny hut — the Video Shack. Here, groups analyze videos that instructors take of each charge as she skies. "Guests learn so much more," said Nesbit, "when they can see their ski form." With the mountain her classroom (Deer Valley has 2,026 skiable acres), Nesbit rotates guests so that each can ski directly behind her to hear instruction and follow good technique. They celebrate together at clinic's end on Sunday. Deer Valley was the brainchild of New Orleans-raised hotelier-television-pioneer-real-estate-developer and Renaissance man, Edgar Stern Jr., back in 1981. He had the out-of-the-box idea to design a mountain resort that would offer skiers the amenities of a first-class hotel with luxury lodging and fine dining. Outstanding customer service would be its hallmark. Visitors are "guests." Personnel are attentive and friendly. Ski valet, day and overnight ski storage, and shuttle service are complimentary. Many employees have worked here more than 20 years, and generations of families come back year after year. Crowded lift lines and runs are nonexistent at Deer Valley, one of the last three remaining ski-only mountains in the United States. That's because lift-ticket sales are limited to 7,500 a day. Indeed, an ideal "classroom." Skiers have big appetites, and hearty gastronomy at the end of each day is a necessity — and the other half of ski season's highlights. 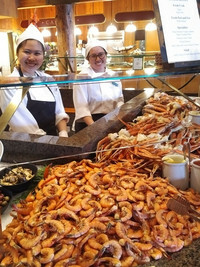 Synonymous with Deer Valley is Seafood Buffet — an institution here that has operated almost as long as the resort has existed. Open only in winter and much sexier than it sounds, Seafood Buffet is the extraordinary transformation of the main lodge's daytime cafeteria into a fine-dining experience by night. When my husband and I entered the rustic dining room, uniformed staff graciously welcomed us for the glorious feast ahead. Like a changing movie set, the lighting had dimmed, candle-lit tables were set, fireplaces crackled and the morning coffee station became a fully stocked cocktail bar with award-winning bartender Bonnie Ulmer at the helm. The room's centerpiece was the four-sided station showcasing succulent Opilio and King crab legs, white shrimp, house-smoked Verlasso salmon, pickled herring, artisanal cheeses and more. The other stations presented a cornucopia of the highest-quality sustainably sourced offerings, including vegetarian, vegan and gluten-free fare — from Niman Ranch St. Louis pork ribs and Sterling Silver roast prime rib to littleneck clams, PEI mussels and the Poke Bar's Big Eye Hawaiian Tuna, flown in daily from Honolulu. 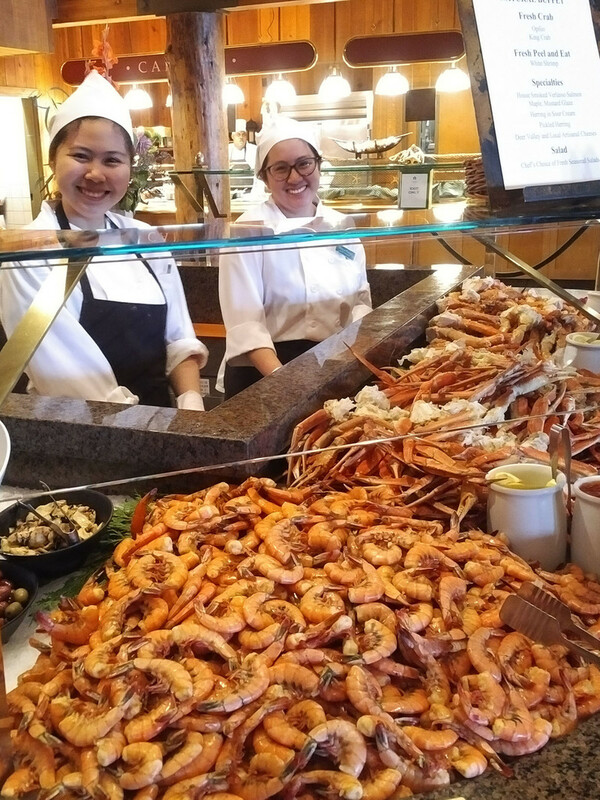 "Shellfish, salmon, prime rib, pork ribs and poke are guest favorites — and the standards at Seafood Buffet," said Chef Ryan Estel, the menu's passionate, creator. The rest of the exciting dishes are a nightly surprise because he never makes the same dish twice. On my next visit to Deer Valley, I will hit the slopes by way of the Women's Ski Clinic, where I will challenge myself to be the best intermediate skier I can be. And when the chairlifts close, I'll be famished. But I won't wander far from the main lodge. I'll store my skis downstairs, powder my nose and switch from my tight ski pants to my favorite spandex jeans. For more information about Deer Valley's Women's Ski Clinic, Seafood Buffet, lodging and other activities, visit www.deervalley.com. Participants in Deer Valley's Women's Ski Clinic in Park City, Utah, enjoy camaraderie while improving ski techniques with top-class female instructors. Photo courtesy of Deer Valley Resort. 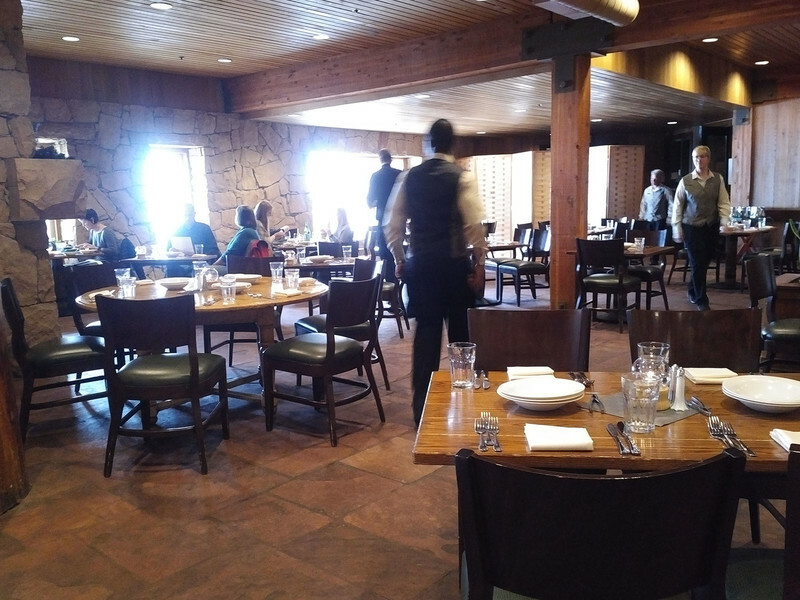 After a day of skiing, friendly faces welcome hungry guests at Deer Valley Resort's Seafood Buffet in Park City, Utah, where a cornucopia of crab legs, shrimp, oysters, prime rib and more await. Photo courtesy of Athena Lucero. 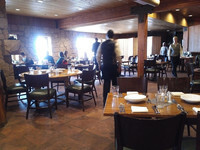 The daytime cafeteria at Deer Valley Resort's main lodge in Park City, Utah, transforms each night into Seafood Buffet, a Deer Valley tradition almost as old as the resort itself. Photo courtesy of Athena Lucero. 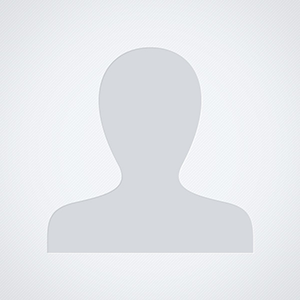 Athena Lucero is a freelance writer. To read features by other Creators Syndicate writers and cartoonists, visit the Creators Syndicate website at www.creators.com.